As you may know, BeColourful is located in the Netherlands, Europe. I live in the beautiful city of Delft, I think most of you are familiar with the beautiful blue pottery that is produced there for centuries. I love to live there, Delft is the place where I grew up, and I like it here, and it's close to my mom and dad. Because BeColourful is a small family business, I'll tell you a little something about myself and I'll introduce you to my sister Bridget. My quilting life began in 1978 when I saw a magazine picture of a Log Cabin-pattern quilt. Right away I had to try my hand at this fascinating work - my sister still has the resulting pink Log Cabin. Since then I have taught myself and tried over the years to reach a level of perfection, not to show off, but because I love the beauty I can achieve through my designs. 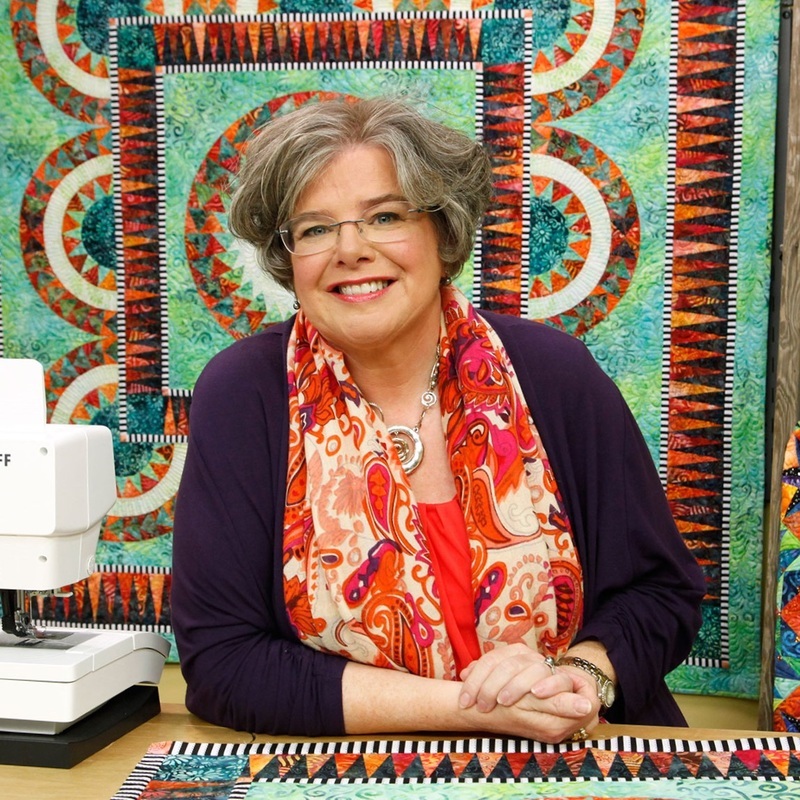 My goal is to inspire quilters all over the world with beauty and color. I have always been creative, but quilting has hooked me. To be able to work well at something you love is a miracle and a gift from God. My quilts have been displayed worldwide and have won international awards. They are based on traditional designs but with a contemporary and colorful twist. In 2004 at the encouragement of my father I entered the Open European Quilt Championship and won the Color Trophy. Since that year I have lectured and conducted workshops throughout the United States, Canada, Australia and Europe. 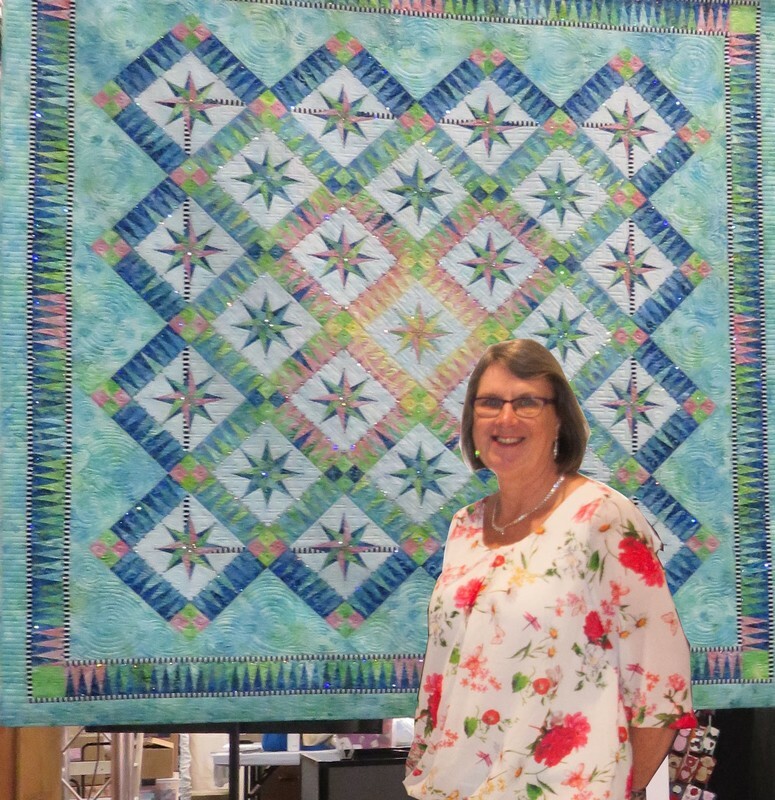 Interviews have been published in several magazines, and in 2011 I was profiled and featured on the Ricky Tims and Alex Anderson online Quilt Show. I live in the Netherlands in the old and beautiful city of Delft, famous for Royal Delft porcelain. I live close to my family , and I'm passionate for my Siamese, Mr. Pookie and for my rescued Greyhound, Amy. I started my BeColourful pattern line in the Netherlands in 2004. BeColourful is now a family owned and operated business in the United States since 2007. ​My name is Bridget Snijder, in Dutch my name is Bregida, which is the same as Bridget. And I’m Jacqueline’s sister. For BeColourful I'm I’m the Social Media Manager. In 2010 I became a part of the team. Besides managing the social media I'm also the website editor, customer service and photographer. At the start of BeColourful in 2004, Jacqueline was BeColourful. Social Media was not that hot and happening, but within the years we noticed it became more and more important. And in 2012 we decided it will be a good thing for BeColourful to start Facebook. And so we did. It's my job to keep Facebook updated. I do the photography, and post the photo's at Facebook. I do most of the answering of the questions and messages. Sometimes I’ve to ask Jacqueline for advice, because I’m not that much of a quilter . Because there’s more Social Media besides Facebook, we started our own BeColourful You Tube channel, we have an active Pinterest page and I post daily on Instagram. In March we started our own BeColourful meeting Place group. You're all more than welcome to join the other BeColourful fans. Together with Jacqueline I've made the tutorial DVD "How to make a BeColourful quilt" (now discontinued), and "The BeColourful Quilt Collection", the beautiful coffee table book. We hope you all enjoy being a part of BeColourful!